The district administration has temporarily suspended operations of the Darjeeling Rangeet Valley Passenger Ropeway until the company running it furnishes a no-objection certificate from the state PWD department. Darjeeling district magistrate Anurag Srivastava said the passenger ropeway service had to be stopped because the lines between two poles were found sagging and that could lead to an accident. “Sagging of the lines between two poles was spotted and the company running the service does not have the mandatory NOC required for operation. Fearing for the safety of tourists, the ropeway service has been stopped temporarily,” he said. The imposition will remain till the operating company furnishes an NOC from the state PWD department guaranteeing the service to be totally safe and ready for operating. A complaint was lodged by the West Bengal Forest Development Corporation (WDFDC) to the district administration, pointing out that the lines carrying the gondolas were found sagging between two poles. “The NOC is required to be renewed every year. However, since October-November 2015, the company running the service has not renewed the NOC,” said Urgen Tamang, the Darjeeling Division Range Manager. The ropeway is a joint venture between the WBFDC and Conveyor and Ropeway Services (CRS). 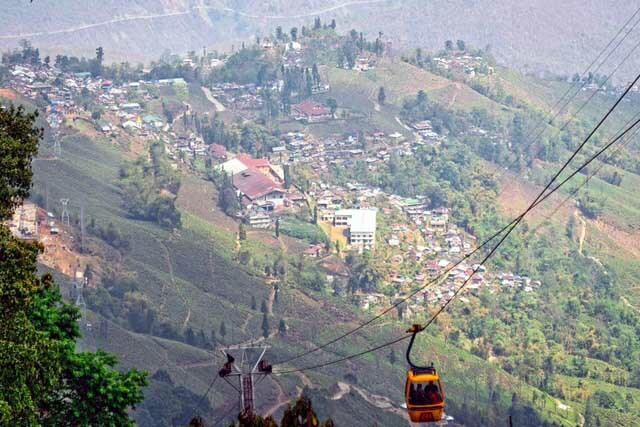 Ten gondolas have been deployed to run the 2.5km route between Singamari, adjacent to St Joseph's School at 6,500ft, to Vah Tukvar tea garden at 6,000ft. The ropeway was started in 1968 by the forest development department and then comprised only a single car which ran one way. Later, it was upgraded to 16 cars and went to and from North Point to Singla Bazaar, 8km away. It was revamped in 1988. 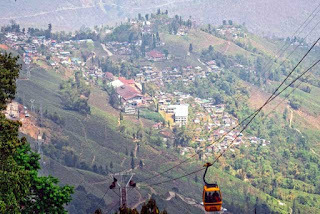 One of the major tourist attractions of Darjeeling, the ropeway service had been closed following a fatal accident in October 2003 which resulted in the death of four passengers. The service was resumed after eight years in 2012 after a thorough survey by Metallurgical and Engineering Consultants (India) Limited (Mecon), which made a list of technical recommendations including modern safety measures.